I have often given a lecture entitled ”Magic Clothes of Power”. There are many instances of textiles that are reported to have special powers. These fabrics are not merely symbols of power, such as military uniforms or religious vestments, but have intrinsic powers, which are derived from special fibers, or are granted properties from “other-worldly” sources. Folklore and literature are sources of many tales of “clothes of power” such as special cloaks, flying carpets and ruby red shoes. Many people have traditions that include reverence for textiles which, they believe, can provide protection or bring good fortune. Last Sunday the Shroud of Turin went on exhibition in Turin, Italy, which will run until June, 24th. As early as the 6th C there have appreared certain images of Jesus said to be “not made with hands”. The earliest legend concerns the “Image of Edessa”. The king of Edessa (Turkey) wrote to Jesus asking him to come and cure him of leprosy. Unable to visit, Jesus sent a miraculous self-portrait imbued with curative power. 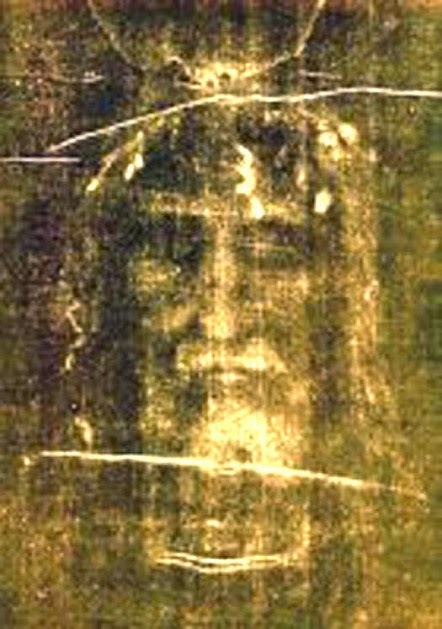 Some equate the Shroud of Turin with the Edessa story, however the Shroud bears the entire front and back impressions of an apparently crucified man. There has long been controversy on whether this textile is the burial shroud of Jesus Christ or a medieval fabrication. Results of carbon-dating posited the age of this textile to be no older than the 1200’s. Others suggest that the actual date cannot be determined due to contamination by centuries of manipulation. The 14 ½ foot of linen fiber is owned by the pope but it is in the care of the archdiocese of Turin. The Catholic Church does not make any claims toward its authenticity and has long acknowledged that there are disagreements and questions that have not been successfully addressed. Despite the controversy, there have been more than a million free tickets reserved by would-be visitors, and many dates for viewing have already sold out. At Last- The New Textile Museum, Washington, D.C.